Expires in 3wk . Last validated 2d ago . Used 11 times. 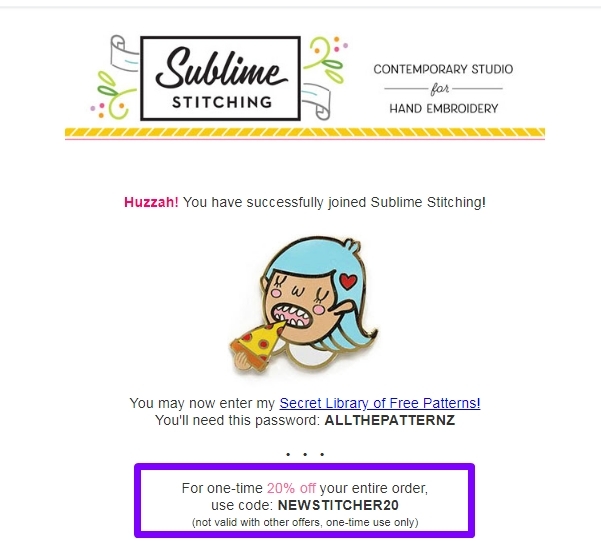 Liz Saloney This great deal is working as described, go to the store, add your items to the cart, use the coupon and get 20% Off Your Order at Sublime Stitching. 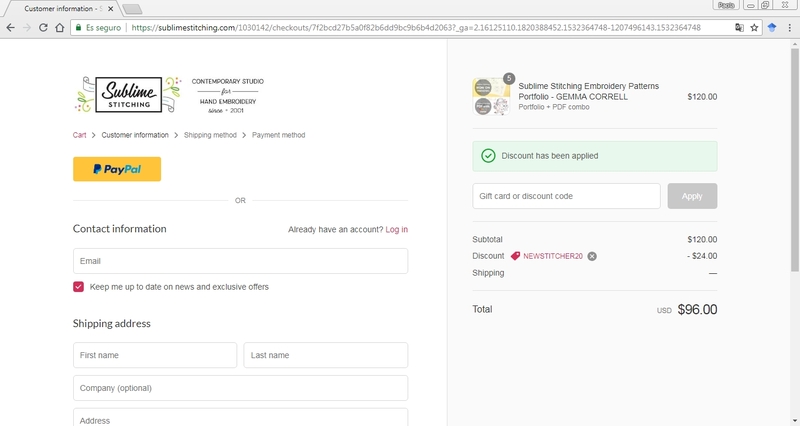 James Stevens Simply enter the code during the checkout process to apply this discount. Cannot be used with other promotions or discount codes. Cesar Ortiz This offer is properly working, all you need to do is copy and paste the code at checkout to get this discount. 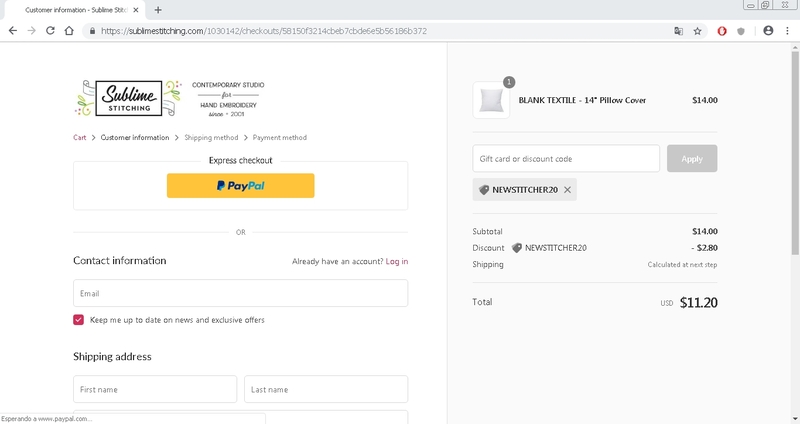 wM The promotion code is valid, works perfectly, simply add the selected item to the bag and enter the promotion code NEWSTITCHER20 in the check out process to receive the Discount. Some exclusions may apply. Paola Vanessa Briceño Araujo Use this promotional code to save 20% off your order. Just go and apply this coupon code in your shopping bag at checkout.